Ironbark Data Mining and Pivot Analysis is an intelligent and sophisticated add-on tool for the Ironbark Sales Analysis Module. Data Mining allows for in-depth sales analysis with easy drill down of data for specific reporting. This program contains a data mining wizard which enables users to easily customize and filter information for detailed flexible sales reporting. 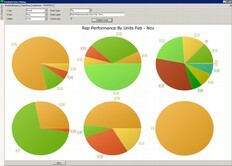 Bar Graphs, Pie Charts, Line Graphs and Pivot Analysis graphically represent the selected data. 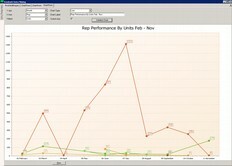 Graphs can be renamed by changing the chart label and can also be emailed or saved as a graphical image (.JPG or .BMP). Data Mining and pivot analysis integrates with Sales Analysis and Customer Orders and Purchase modules. Download the Sales Analysis – Data Mining and Pivot Analysis overview now!